We’re excited to announce our NEW FLAT STOCK BOARDS! These boards come standard with a nailing flange which means after installation, there’s no need for face nailing. Build your own surrounds right on the job site. Great for building your own window surrounds, corners, and anywhere you don’t want to worry about hiding fasteners. Column caps, siding receivers and mounting blocks are also available. 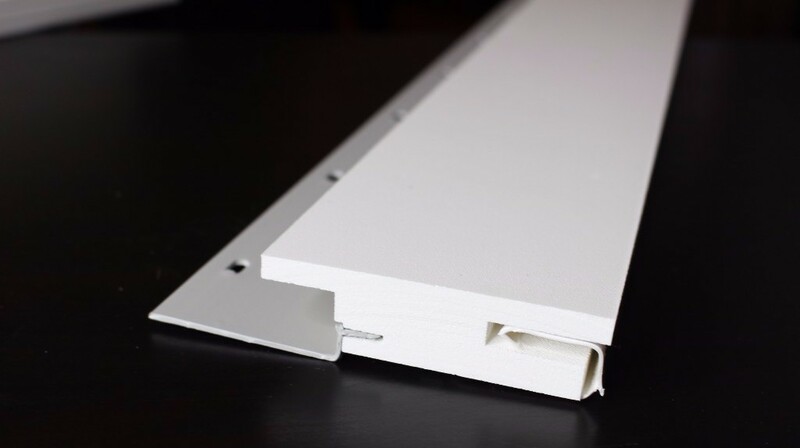 As with all Trim Solutions products, these exterior PVC boards are durable, weather resistant and low maintenance with no need for painting or caulking. They won’t rot or split like wood, are insect resistant and are sure to safeguard against expansion and contraction. With a wide selection of exterior PVC trim products and our patented Hidden-Fastening System, Trim Solutions is committed to giving you an easy-to-install product with an elegant look that will last forever. We Have Distributors in 16 States! Looking to place an order? Trim Solutions products can be ordered exclusively through the lumberyard partners listed on this page. Select stocking lumberyards and they can be found on the Preferred Distributors page on our website. If you’re a lumberyard and would like to partner with Trim Solutions, please call a Trim Solutions Sales Representative today 1-877-935-7146 or email your request to info@trimsolutions.net.